If you are a small-business owner and want your business to grow, there are certain challenges you will need to overcome. This guide will show you how to grow your business by overcoming those challenges. What are the Aspects you Need to Know While Scaling-Up Your Business? From identifying the right location, to getting a startup bank loan to advertising and recruitment, all these aspects need to be taken care of by you. You will need to negotiate the best terms with the real estate broker for the location, with the banker for your bank loan, interview candidates, and manage your existing business, all of which takes considerable time and effort. To create awareness about your existing products, it is very important to spend on the right medium for sales and marketing. You need a professional website, have a page on different social media sites, provide introductory offers (discounts on purchases made of a certain amount), ask existing customers for references in return for shopping vouchers and so on. When you decide to grow your business, you need to keep in mind that if your turnover exceeds Rs 20 lacs per year, you need to register under the Goods and Services Tax (GST). Also, as a sole proprietor, you only need to file your income tax return. As a private limited company, there is a flat corporate tax rate of 25% for a turnover less than Rs. 1 crore. As the business grows and expands, there will be greater need for corporate compliance. You will need to appoint an auditor, file your balance sheet, and Profit and Loss Account with the Registrar of Companies under the Companies Act, 2013. The final challenge to grow your business will be an action plan. Be specific with regard to your growth targets (for instance, double sales in 3 years), marketing (eg-glow sign, social media presence, etc), and recruitment (freshers or experienced staff) to expand your business successfully. Find out if there are any issues in your existing sales process which need to be improved or changed. This will help you when you grow your business. Find out how your competitors are expanding their business. Are they using social media like Facebook or Twitter? Do they have a website? What offers are they giving their customers? You can have a loyalty program for the customers, like a points based rewards program for instance. When your customers have enough reward points, they can exchange it for a product from your shop. This will also attract new customers. Take feedback from your existing as well as potential customers, look at what your competitors are selling and study the latest trends in your target industry to find out what new products you can add to grow your business. If you sell a product, you can tie up with someone for after-sales service. The company providing the service can take orders for your products from customers. For instance, if you are in the mutual fund business, then you can also become a distributor for fixed deposits and bonds to grow your business. You can look for similar complementary products or services in your business to expand it further. If you have expertise in a particular area, you can share your experiences on YouTube to grow your business by creating a passive income channel. Look for businesses in the same industry that are successful but wish to sell their business for other reasons. Negotiate the right price and acquire them to broaden your customer base. From fashion to travel, social media sites are the best way to promote your products. Create a Facebook and Twitter page and monitor the feedback actively to grow your business. You can have a webinar or an online seminar and answer questions about your products. This will create interest about your products and grow your business. Whether you have a salon or an interior decoration company, you can grow your business through apps like UrbanClap. Find out the best way to grow your business, either through the franchise process, social media presence, or acquiring another company. Create a step-by-step list of how you want to grow your business including your current products, what you want to achieve, and the profile of your current and potential customers. Identify your strong points (e.g. quality products), weaknesses (e.g. marketing), opportunities (e.g. selling new products), and threats (e.g. bigger companies in the same industry). This will help in your business plan by giving a precise vision regarding which areas to work-on. 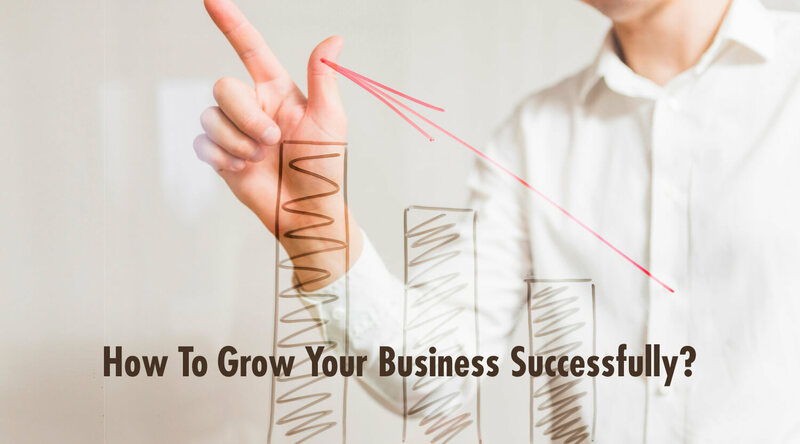 To grow your business, you will need resources in terms of manpower, finance, and inventory. You will need to make an estimate of these needs. List the sales and revenue targets for the next 5 years which you need/wish/plan to achieve. Resource planning and marketing can be planned after that. You will need to set aside funds from your existing profits and take loans from banks to support your business. You need to factor in the costs of loans from banks and the repayment schedule. You should look at your yearly business targets to see how you are performing and what strategies you need to apply to achieve your targets. You should have the discipline to stick to your business goals and try different strategies to fulfill your goals. When you have an idea, ensure that it is implemented immediately. Follow up on others to ensure that deadlines are met. It is not enough to know your business well, you need to ensure that your products and services are better than your competitors. Implement creative advertising techniques, and have contests with attractive prizes to engage customers better. Design creative flyers to promote the contest offline and online. Failures are a part of your experiences, you need to learn from them to succeed. You will have to deal with a lot of different people like customers, suppliers, and employees effectively to get results and must thus hone effective people skills. deAsra can help you grow your business with a host of services starting from business plan help to marketing your business. Get started now!